Our products come with a comprehensive insurance backed guarantee. 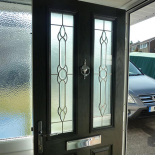 We undertake at our sole discretion to repair or replace free of charge, any defective PVC & Aluminium casement windows & doors & their component parts for a period of up to 10 years from the date of the manufacture of those items. Please check the reverse of your contract for full T’s & C’s. If you are still within the guarantee of your terms and conditions please complete the form below including pictures/video of any issues - so we can locate your records and respond. Take a close up picture plus a picture showing the whole product. With just a little bit of care and attention, it’s easy to keep that ‘new windows and doors feeling’ for years and years. Here we’ve explained the best way to keep them looking their best, with some really helpful tips on care, maintenance, and how to keep your guarantee valid. To keep it clean, just wipe it down with warm soapy water. Abrasive products and solvents like glass cleaner, metal polish, and scouring pads may damage gloss finishes or woodgrain effect finishes, so they should be avoided. If stubborn marks don’t budge, they can be removed with a specialist uPVC cleaner. 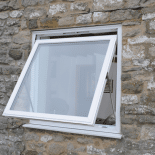 To prevent condensation from building up, clear any debris from drainage slots between the bottom of the window and the external sill, and from inside the sashes when the window is open. 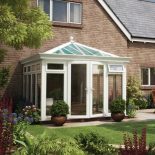 Whilst the glass used by us will be of good quality it may feature minor imperfections & blemishes & will be assessed according to Glass & Glazing Federation guidelines. Just use a non-smear glass cleaner product and a paper towel to keep your glass looking shiny and new. Spray the cleaner directly onto the glass and into the corners, then wipe down vigorously with the paper towel until it’s nearly gone. Then turn over the paper and buff until dry. For the very best finish, do the same to the outside of the window – until you can see your reflection in it. Only use a soft cloth or paper towel. Taking care of uPVC is really easy. Any metal-to-metal joints that do not have nylon bearings should be lubricated once a year with light engineering oil such as 3-in-1. These joints include friction stays, hinges, espagnolette, gearing mechanisms, shootbolts and locking mechanisms. Rollers on door bolts, espagnolettes or shootbolt mechanisms that engage with locking keeps should be lubricated once a year with light grease such as lanolin. Just wipe with a damp cloth and dry thoroughly to remove dirt and dust. Effective weather seals prevent draughts and stop heat escaping from your home. To keep them doing the job well, clean with a damp cloth. If a seal becomes dislodged from its grooves, simply slide them back into position to avoid damage. Remember to clean your window furniture every four months. Avoid abrasive products and solvents such as metal polish, scouring pads and acetone. It’s a good idea to remove all rings, bracelets and watches before cleaning glass to prevent scratching. 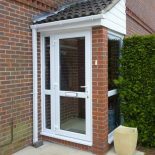 For your safety, never walk on a bay roof or lean a ladder against the frames, glass or guttering. If access is required above a large bay window, tower fixed scaffolding is recommended. And remember to use the right cleaning technique for the right part of the window, as outlined below, to keep them looking their best. Wipe away grime and grit with warm water and dry with a soft cloth. Wash with warm soapy water. Stubborn stains might require specialist uPVC cleaner. Wash with warm soapy water and a soft cloth. Finish with a proprietary glass cleaner. Wash with warm soapy water and a soft cloth, and finish with a proprietary glass cleaner. Natural oxidisation will occur over time. Take a clean cloth and warm water with a mild detergent, then simply wipe clean to a shine. Add light engineering oil such as 3-in-1 to all moving parts, especially if you live near the coast or an industrial site. Lubricate with light engineering oil. Use a Teflon-based lubricant, not oil or graphite powder. Raising Standards & Building Trust. 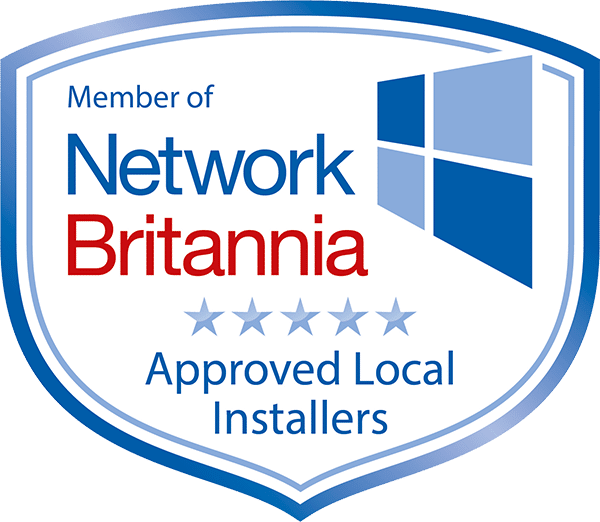 As a member of Network Britannia we only install superior quality products, with the highest quality components. We promise to treat you and your home with care and respect! We specialise in making homes like yours more secure, more energy efficient and more beautiful. We achieve this by using expert installers to fit British-made products to an exceptional standard. *As with most businesses we have altered our terms and conditions over the years. It would be most helpful if you are able to supply a photo of your original contract with the item circled.